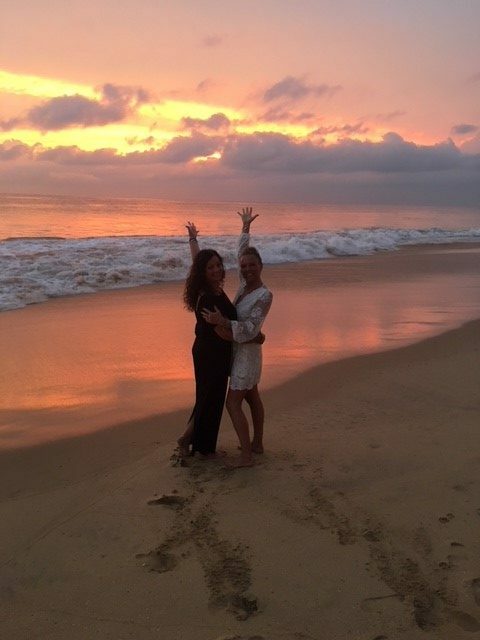 Where you go to create life long memories…. 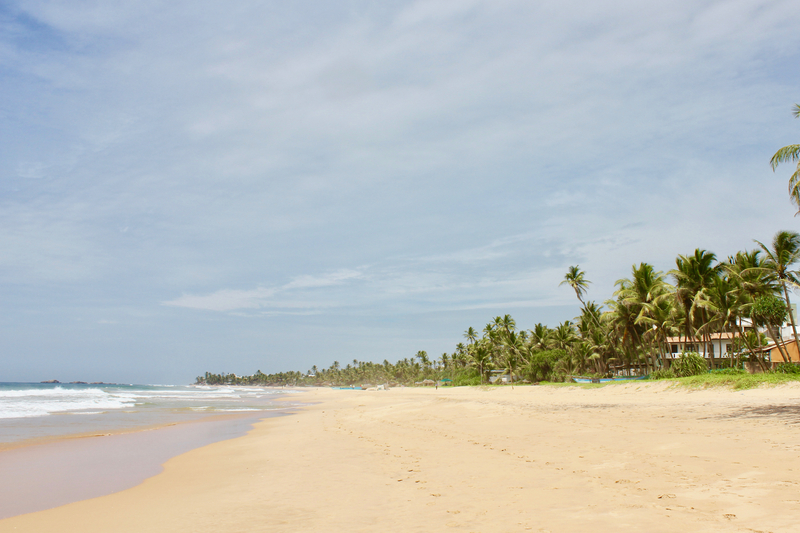 The breathtaking country of Sri Lanka is now top of many peoples ‘bucket list’. 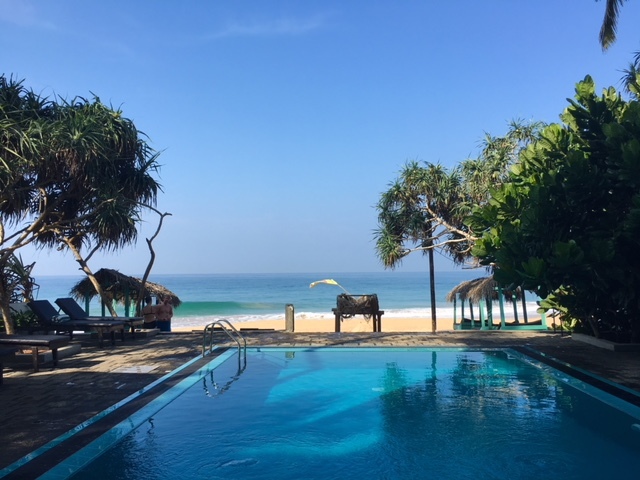 Found within the Asian Continent, Sri Lanka is an Island off the southern tip of India surrounded by the emerald-green waters of the Indian Ocean. 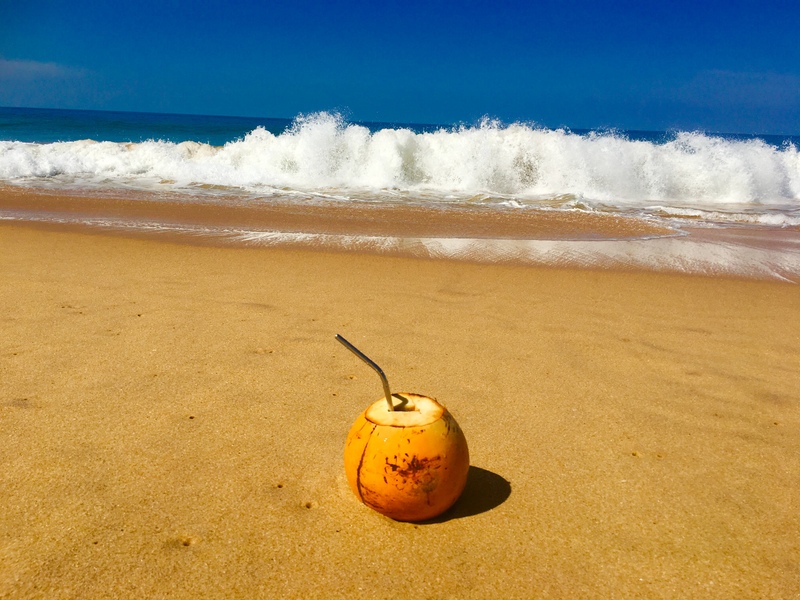 With its endlessly long sun drenched sandy beaches lined with palm trees and azure blue waters, Sri Lanka has become a dream destination for many Wonder lust Souls and its easy to see why. 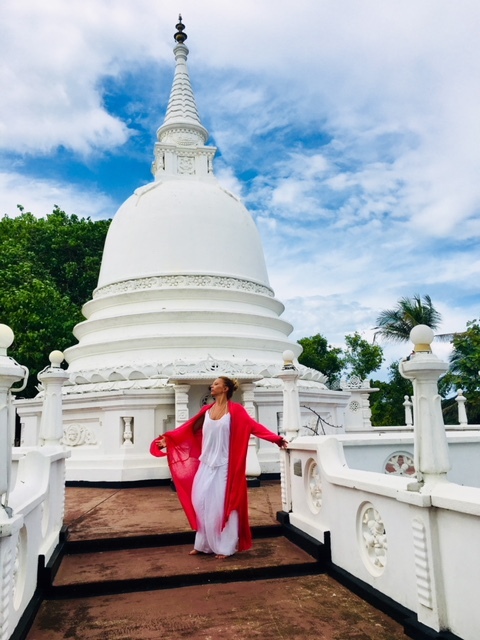 the combination of Yoga, the humble Sri Lankan people, stunning and variable landscape, breathtaking scenery, incredible wildlife, famous tea, ancient ruins and delicious food, together we will created precious moments in your life to treasure forever. Located a few degrees north of the Equator its tropical climate consists of very distinctive dry and wet seasons with average temperature ranging from 28 to 32 degrees Celsius. Being a tropical Island the humidity varies depending on the season and the rainfall the same. 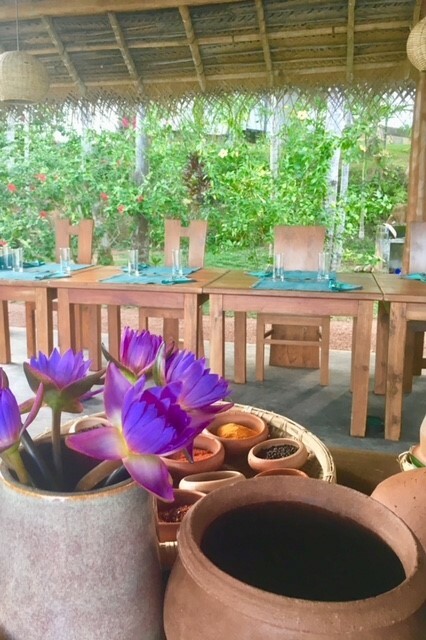 This blend of humidity, temperature and highlands provides the perfect soil and climate for the famous Ceylon tea. Sri Lanka’s tea production is one of the main exports and the beautiful tea plantations are found all around the Island, and is still the main form of livelihood for thousands of families. 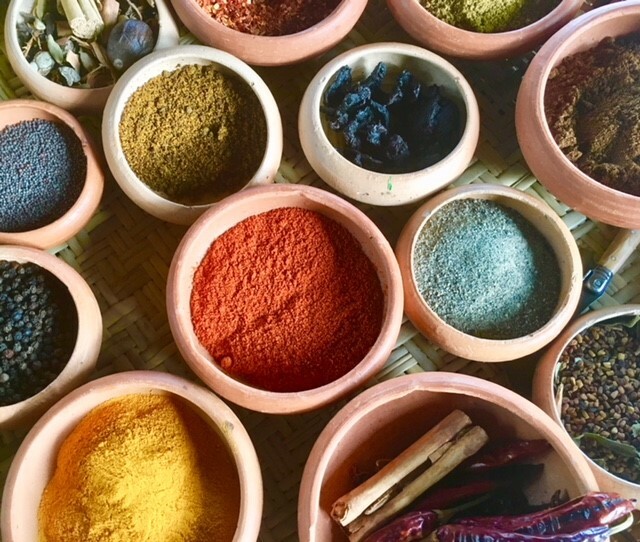 Sri Lanka is known for its pure flavor not just in the Ceylon tea, but also for its flavor of spices such as cloves, black and white pepper, nutmeg, curry and curry leaves, turmeric, cardamom, lemongrass, vanilla, ginger, coconut and spice oils and of course the cinnamon. Spices and coconut milk are used to create the very distinct and mouthwatering Sri Lankan dishes and will enliven your taste pallet for sure. 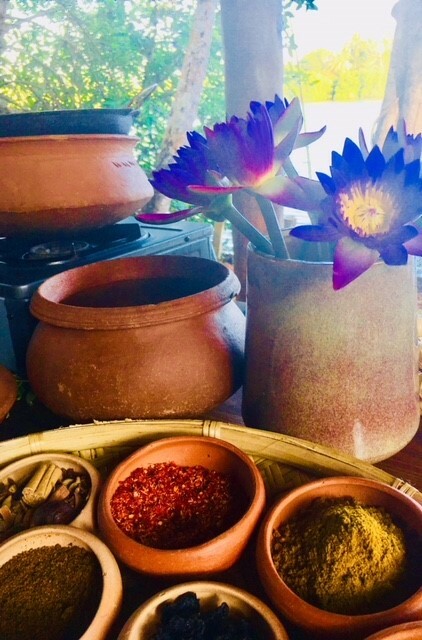 The abundance of herbs and spices grown on the island are used in the ancient wisdom of Ayurveda, a natural medicine known for it’s healing powers, widely used in Sri Lanka and South Asia. Ayurveda originated from this part of the world and each year its ancient wisdom draws many visitors to stay in Ayurvedic clinics and spas to have a range of treatments to enhance wellbeing. Most of the Sri Lankan’s use this traditional and natural medicine and up to 70% of its rural population relies on it as their main health care. 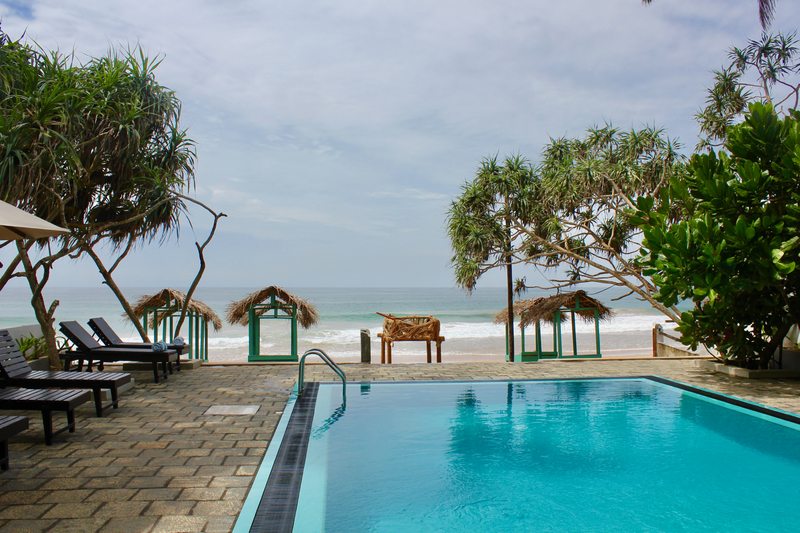 Sri Lanka being a tropical oasis it’s needless to say the island is a wild life paradise. There are many national parks and forest reserves where you can visit the elephants, leopards, mongoose, bears, jackals, water buffalo, wild boars and much more… the sound of the monkeys becomes a familiar sound echoing through the jungle. With March offering the most daily sunshine hours and lowest humidity it is the perfect time to visit this breathtaking Island referred to as the “Teardrop of India”, an adventure you will be glad you embarked on, I promise you that. With many Thousands of years of cultural history, stunning nature and miles of long white sandy beaches this may be the most exotic Yoga Holiday destination you have ever embarked on. 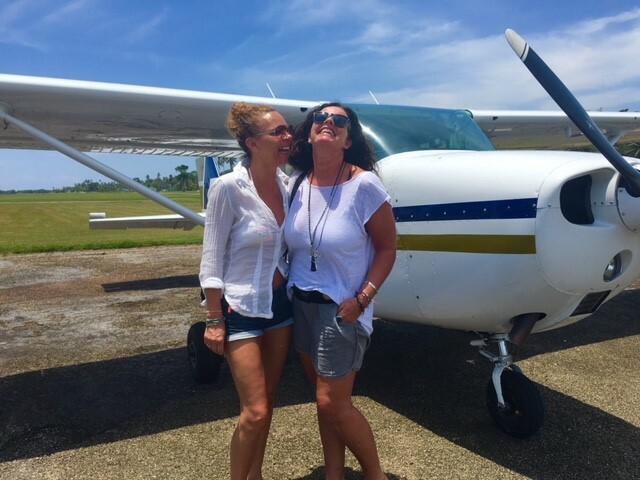 Myself, Annette and Sri Lanka welcome you to a memorable experience filled with adventure and fun on and off the yoga mat; leaving you feeling recharged and balanced, leaving with precious memories you will treasure forever. 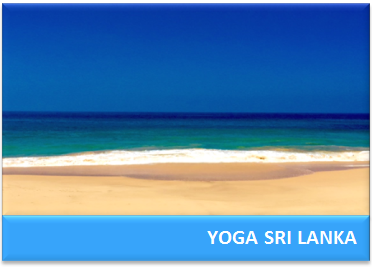 Sri Lanka’ natural beauty will awaken your senses and enliven you in every way. 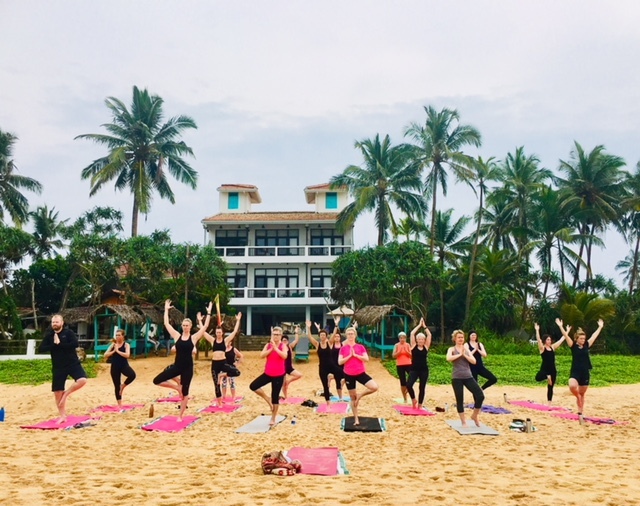 Waking up each morning to sunshine, sea breeze and the sound of the waves sets the perfect setting to immerse yourself in the Yoga practice. In a country where the ‘zen’ vibe is very present it is easy to explore the layers within yourself. 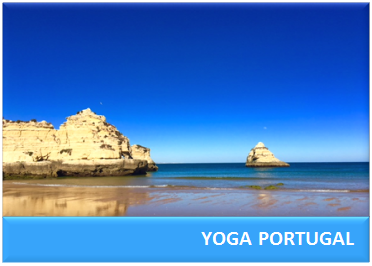 There will be a variety of different styles and approaches to Yoga offered during your stay accommodating all needs. Pranayama (breath control), meditation and relaxation will also be apart of our daily practice to creating a full and comprehensive yoga experience bringing balance and deep peace in body, mind and heart. March temperatures are average of 25-30°C large temperature fluctuations rarely occur in the daytime throughout the year guaranteeing you a warm and pleasant temperature throughout your stay. 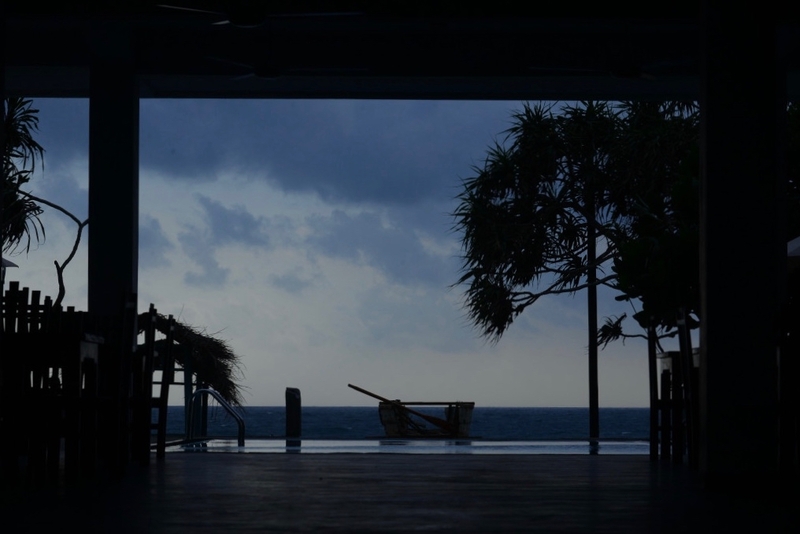 Sri Lanka is known for its high humidity and its tropical rainforest climate and therefore tropical rainfall is not unlikely. But not to worry, the rainfall doesn’t usually last for long so it becomes an experience and not a disturbance. 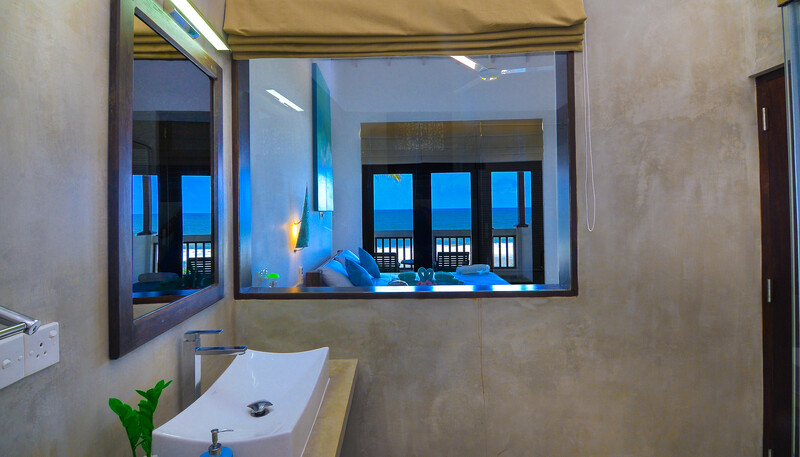 Right outside your window you will find the very inviting and beautiful Indian Ocean. Feeling like a bath holding a similar temperature to the average air temperature, no doubt you will dip your toes into it! 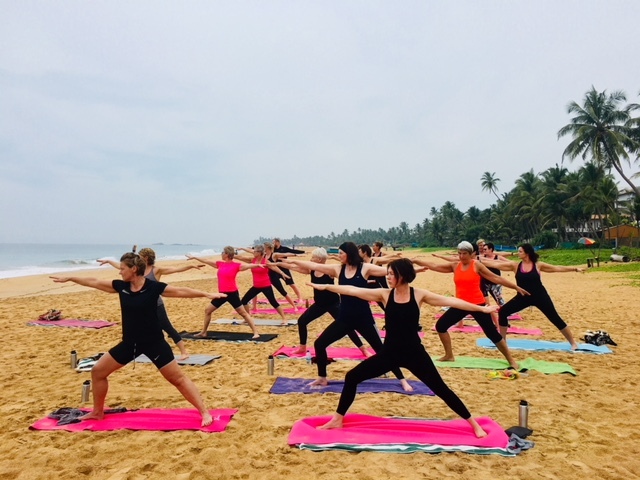 This 10 nights Yoga and adventure holiday is for you to indulge in all your senses, first class yoga, sun, sea, and the most fabulous culture Sri Lanka has to offer. 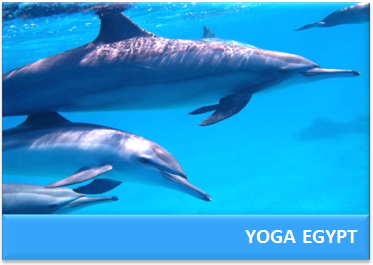 You will be waking up with the sun for your morning beach Yoga, a nourishing practice setting you up for the day. 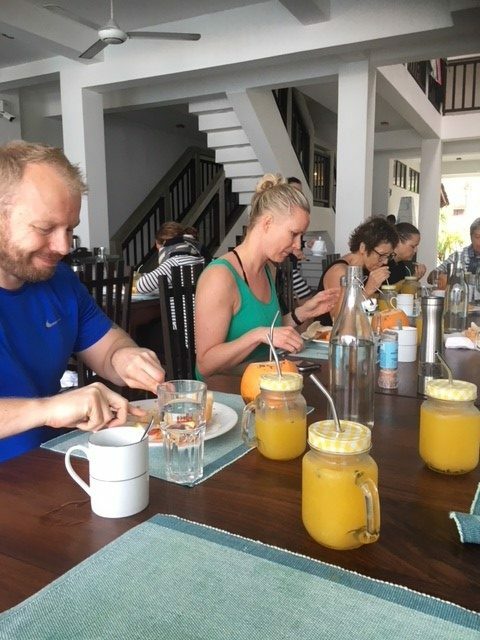 After our morning practice we will be served Thambili coconut and fresh fruit followed by fabulous breakfast taking in the stunning beach view. 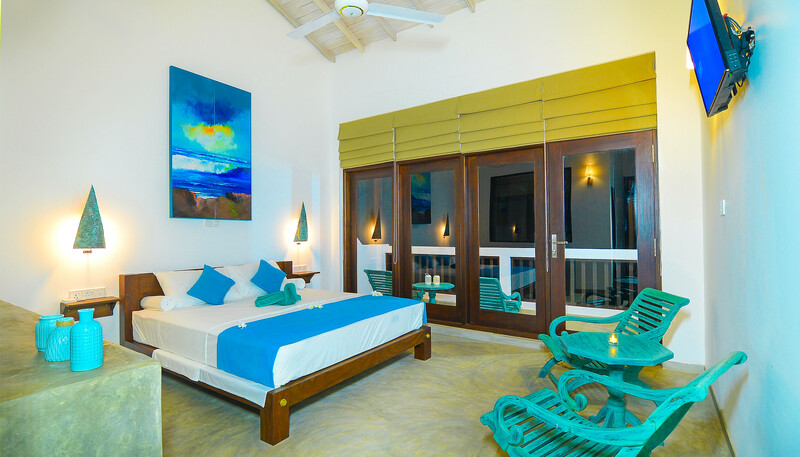 You will spend your days by the beach side pool or one of the many stunning beaches relaxing and recharging your batteries. 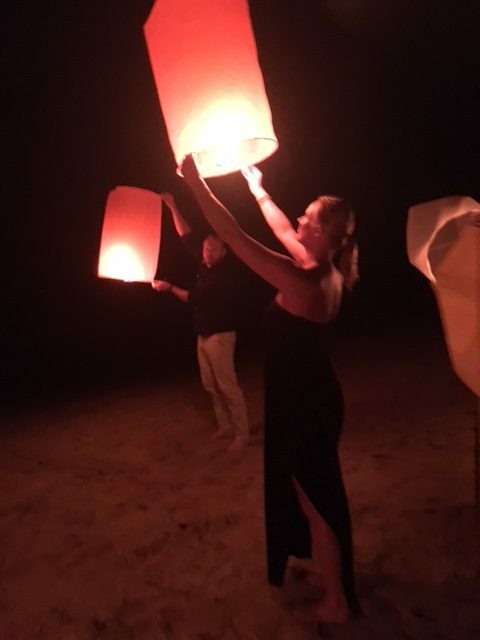 During our time together there are several experiences and outings included such as a trip to the famous port town Galle, a stunning colonial cultural town sprinkled with many fabulous shops and restaurants…visit the turtle sanctuary, river trip, Aurvedic spa day, trip to Wijaya Beach and temple trip. 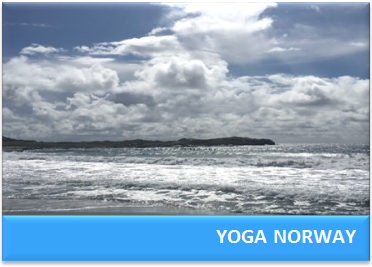 There will be two full days ‘off’ with no yoga free for you to explore on your own. On these days we recommend a day to one of the national parks or whale watching which we can organize for you. With all this available to you during your stay I also want to highlight that this is your time and your holiday so you will take part in as much or as little as you want. Sometimes people just want to take time out on the beach or explore on their own and this is completely your choice, we just want you to do what makes your heart sing and your Soul dance! 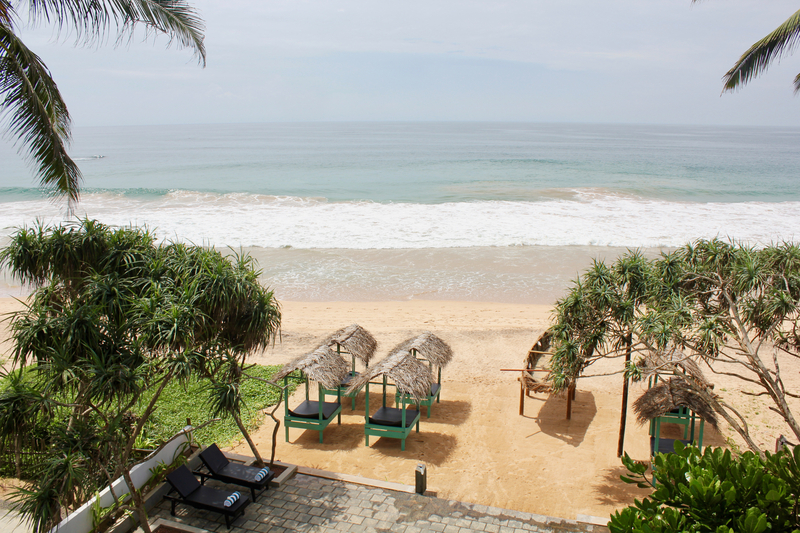 Hikkaduwa is known as Sril Lankas Surfers Paradice. 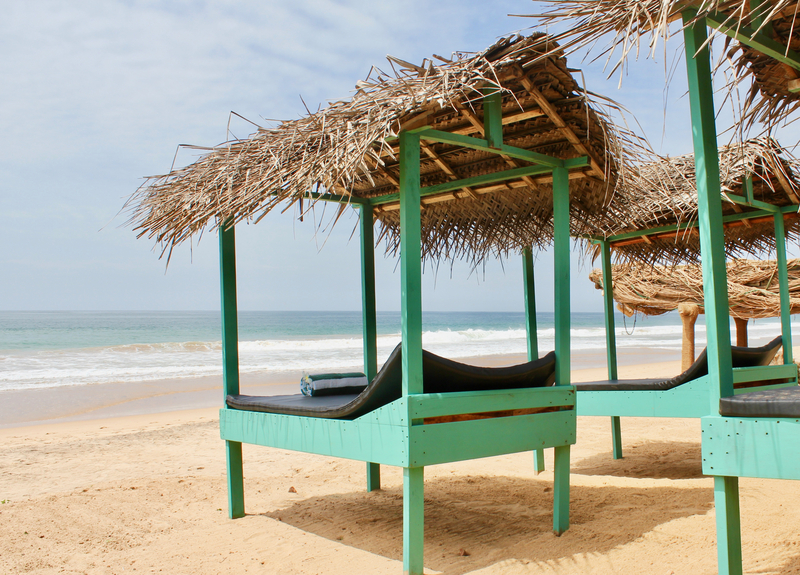 The Sri Lankan beaches are well known for its idyllic look and stunning scenery and one of these beaches will be your home for 10 days! 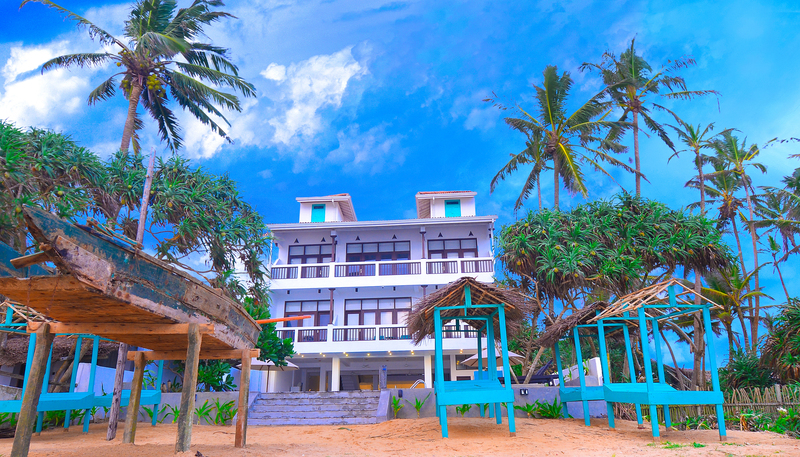 Staying on a quite beach just on the outskirts of the famous Hikkaduwa we can assure you that we will be resting in the perfect spot. 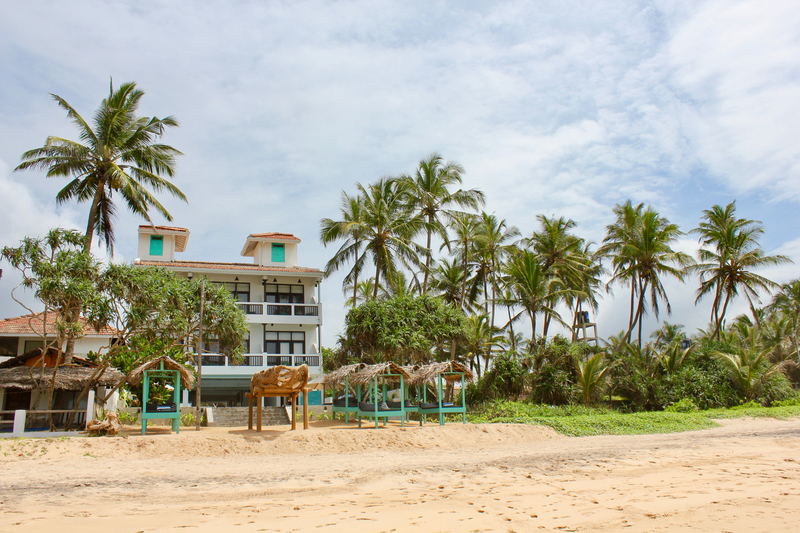 This quite beach area have a calm vibe where for those who want to explore the more lively part of Hikkaduwa it is only a short tuk tuk ride away. 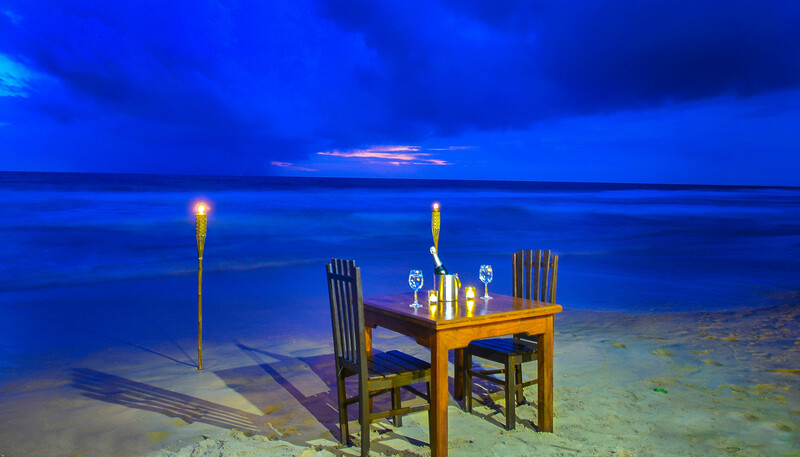 Hikkaduwa is a small beach town located on the on the South coast of Sri Lanka. 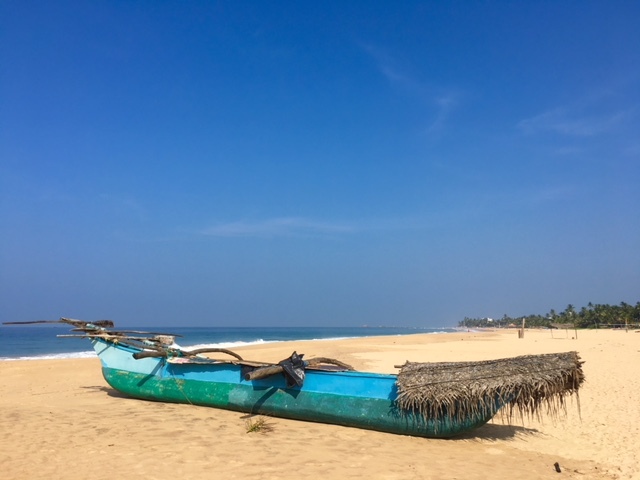 Hikkaduwa is believed to come from the two words ‘Ship Kaduwa’. Ship is the shorter version of Shilpaya which means knowledge; and Kaduwa means sword. 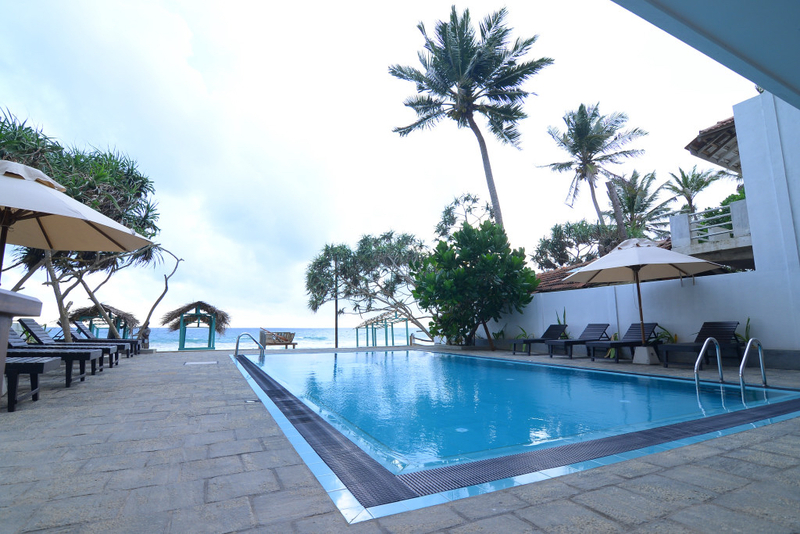 So it is believed that Hikkaduwa means ‘sword of knowledge’. 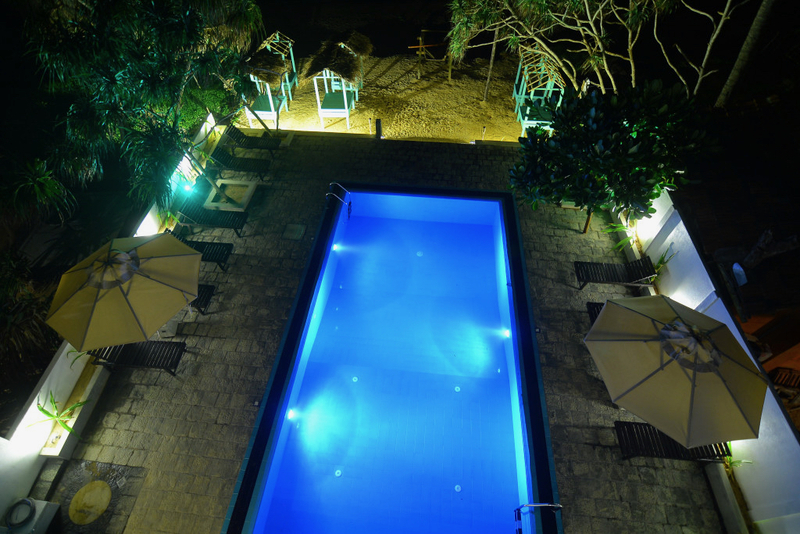 It is also believed that Hikkaduwa was the tourist’s favorite even in the colonial times and before. 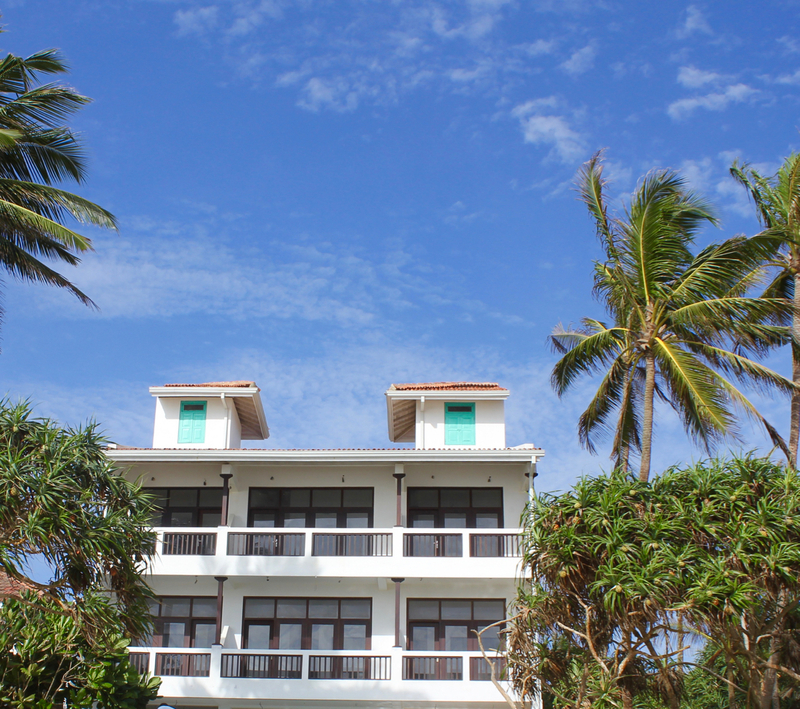 Now in the ‘modern’ times Hikkaduwa still continues to be one of the most travelled to destinations in Sri Lanka. Its new influx began in the late sixties where it is said that the ‘old hippies’ fell in love with the place and never left. Hikkaduwa becoming the ‘cool’ spot to hang out traveled fast and to this day still continues to be so. 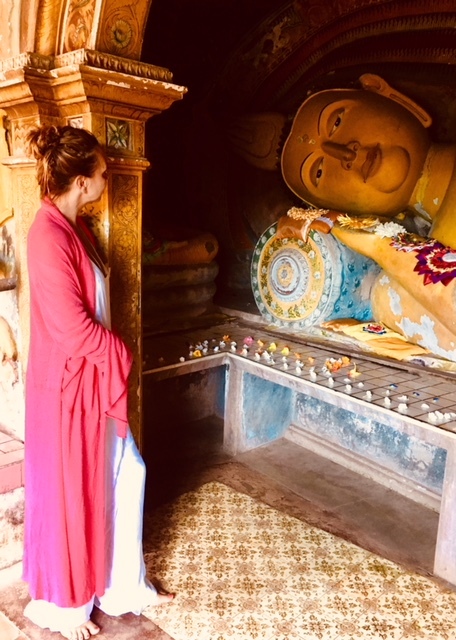 Still feeling the ‘hippie’ vibe mixed with the ‘zen’ culture it is easy to understand why Hikkaduwa is still the place to be. 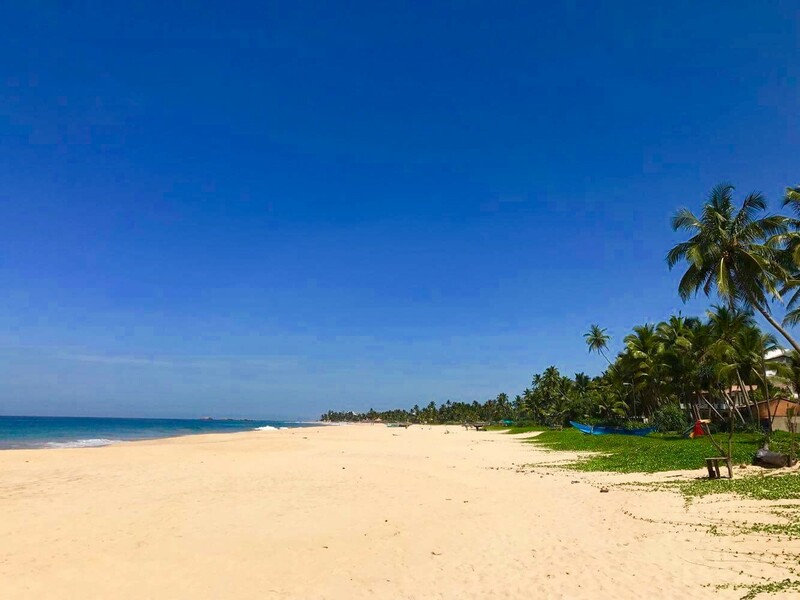 Hikkaduwa being a beach community that can really boast of some of the best surfing waves on the Island it is still so much more. 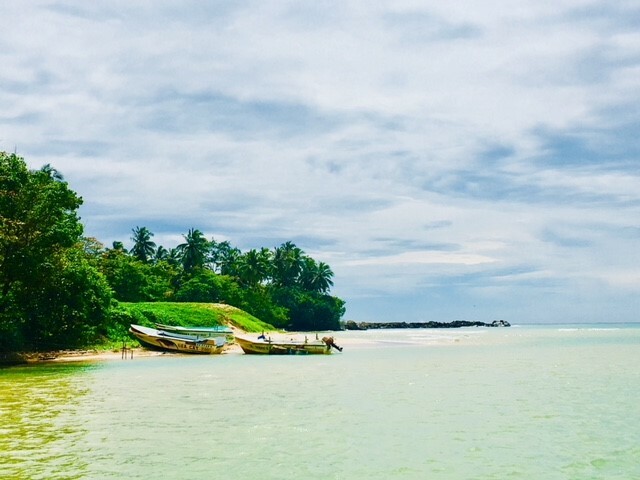 The area is filled with history and culture, dive opportunities, snorkeling exploring corals and sea life; and the local turtles are of interest to many. The long stretch of beach is packed with surf schools, wonderful restaurants, bars and shopping opportunities. 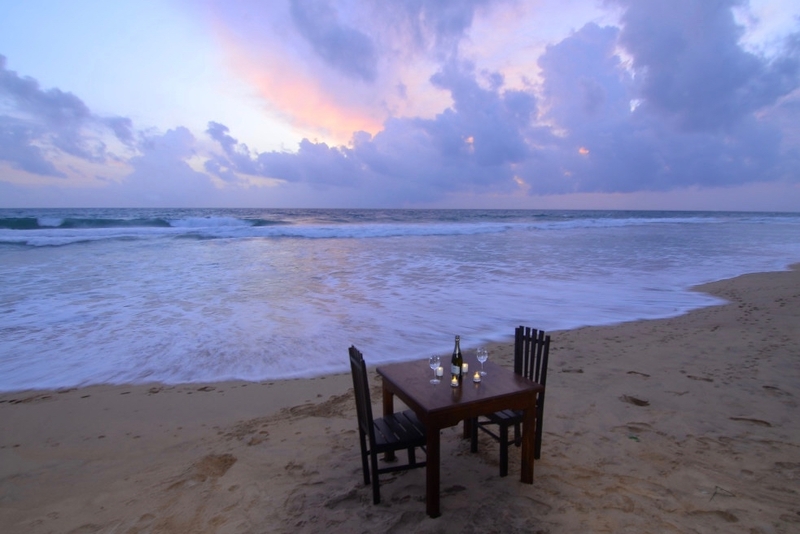 The sunsets are world famous and absolutely priceless, so here we may sit back and watch the surfers catch the waves as the sun sets while we sip on a yummy cocktail. Galle is a beautiful port town built in 1588 by the Portuguese. 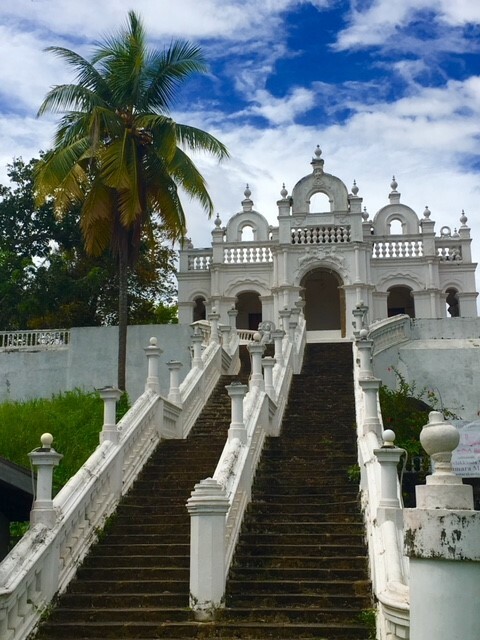 After the construction of the Fort in the 17th century Galle was the main port in Sri Lanka for more then 200 years and its history dates back thousands of years. 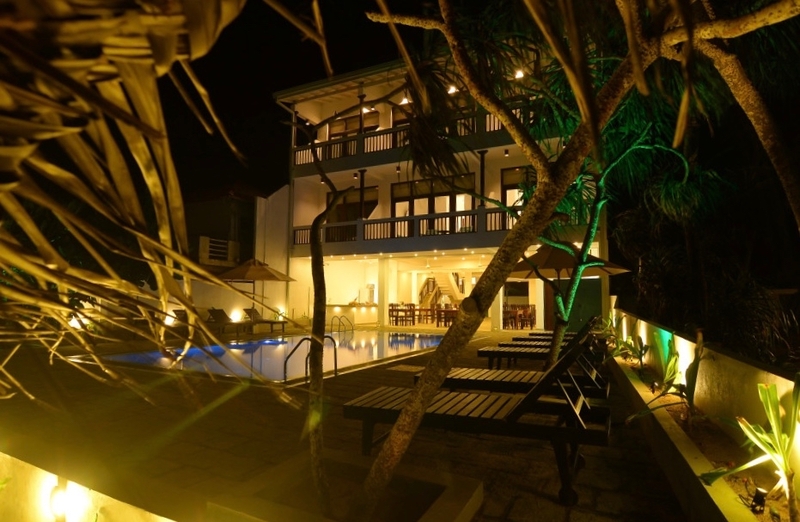 Today Galle Fort is a small and peaceful town still in the keeping of its Old Dutch Colonial architectural buildings, and its beauty and colorful history has become very famous indeed. 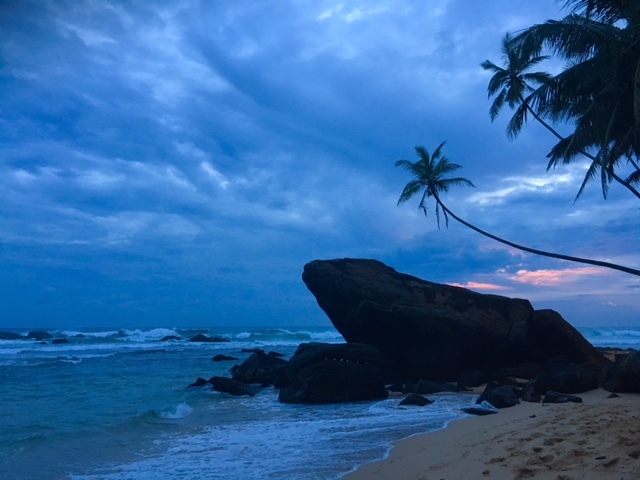 Galle is a gem. A Unesco World Heritage Site, this town is a delight to explore. The roads are small and cute scattered with museums, spas, beautiful shops, cafes and restaurants and will with no doubt draw you in. 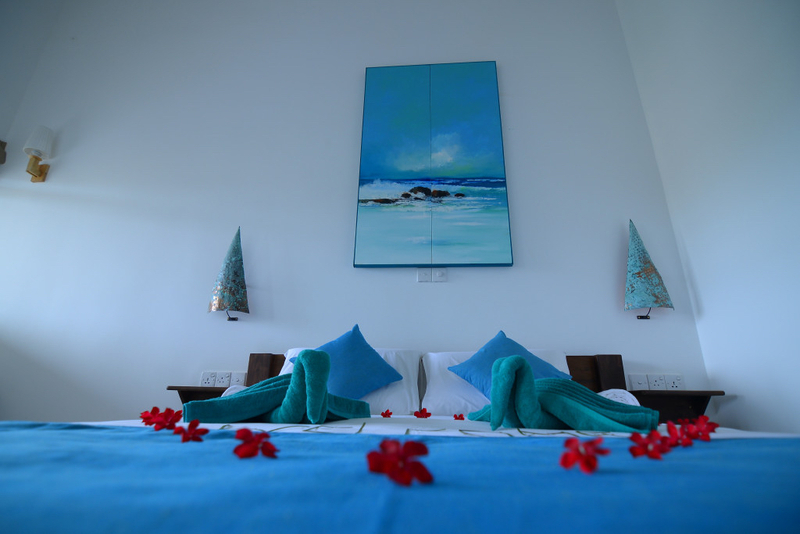 Galle is the home to many artists, writers, photographers, poets, and designers. A creative air is all over this beautiful fort town and its an inspirational experience to all those who visit. 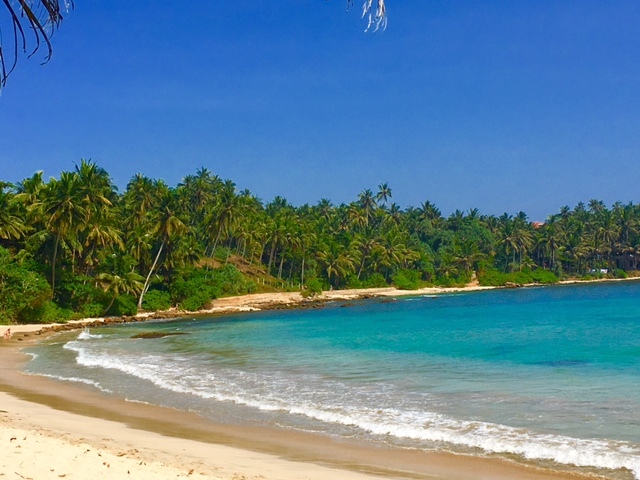 Wijaya Beach Unawatuna a tranquil spot where you can rest under a palm tree with a coconut or take a swim in the Azure blue lagoon. 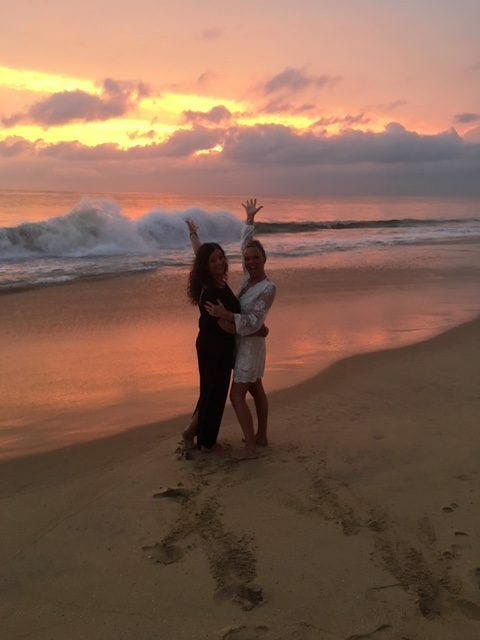 Here you can witness the most stunning sunset and if very lucky you can watch the turtles surfing the waves as they come into the lagoon to feed. 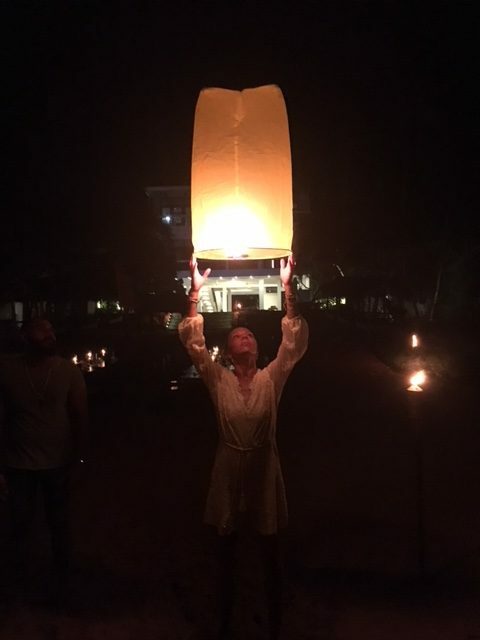 How can I choose a Yoga Holiday that suits my ability? 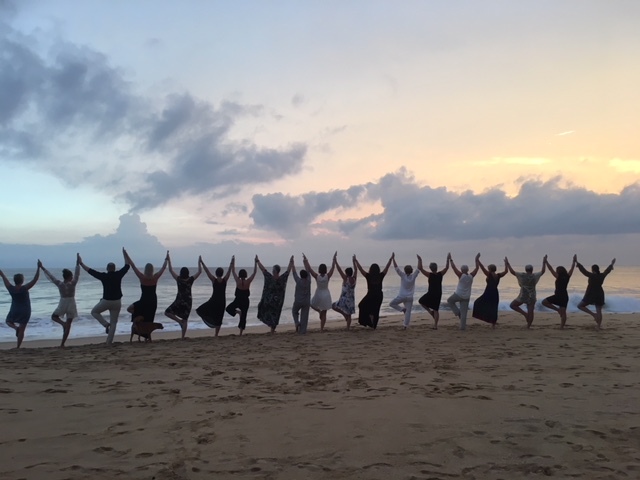 A Yoga Holiday suitable for all abilities is a yoga journey shared together where everyone has the opportunity to explore and take their individual practice to a deeper level. If you are new to Yoga or more advanced we will make sure you get the most out of your time on the Yoga mat. 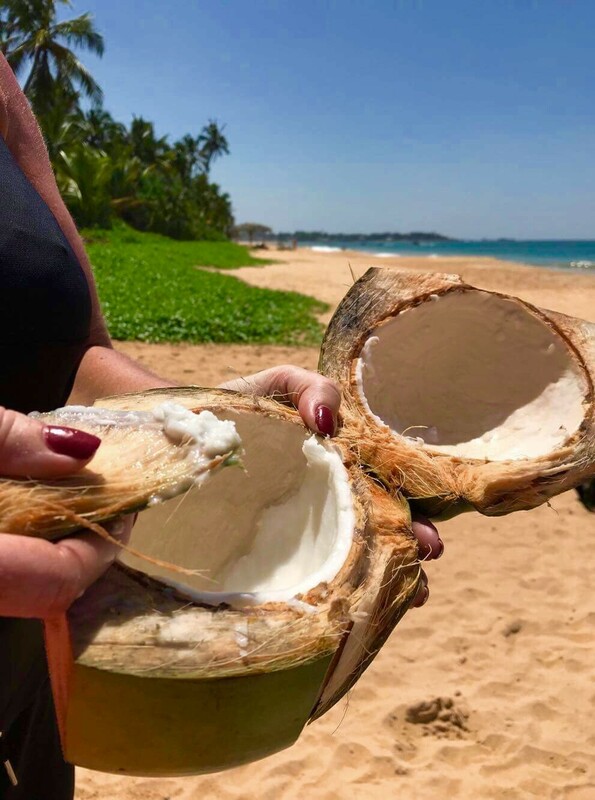 After your morning practice there will be served Thambili coconuts and fresh fruit followed by fabulous breakfast taking in the stunning beach view. 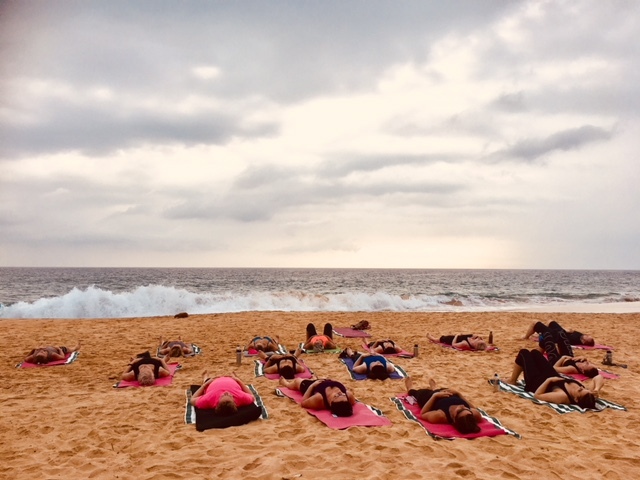 Last practice of the day will be sunset beach yoga, the perfect time to reflect on the the day’s events, setting you up for an evening of bliss. 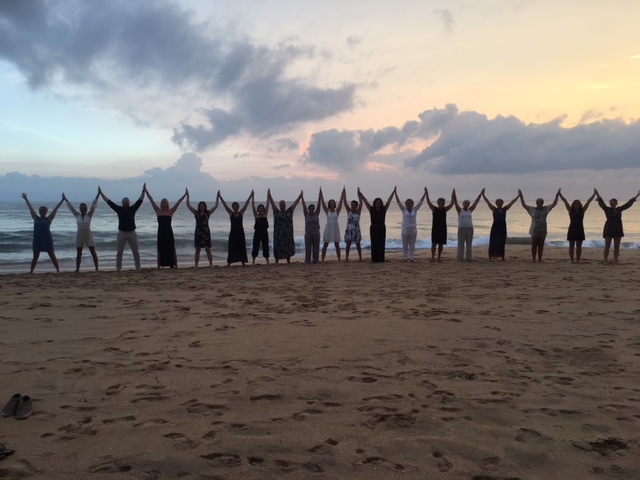 During our 10 days together you will have the opportunity to enjoy over 17 hours of Yoga exploring a variety within the Yogic practice and the elemental aspects in yoga. 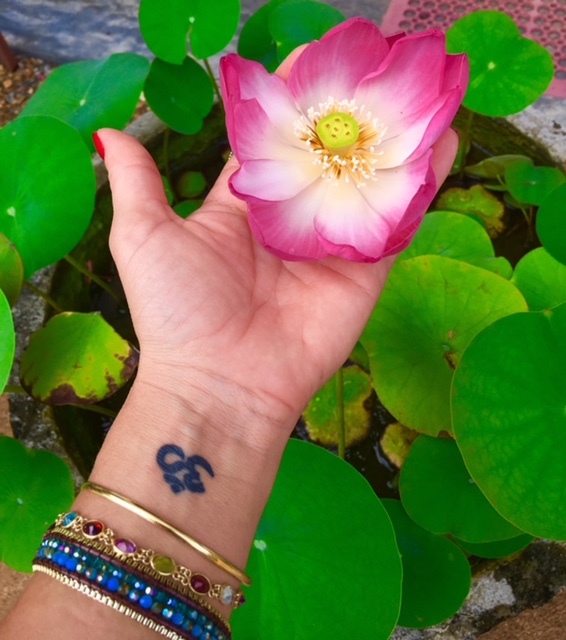 You will be guided through a mixture of the traditional hatha yoga, flow yoga, restorative/yin practice, breath work, pranayama practice, loving touch with hands on adjustments, meditation, deep relaxation and yoga nidra. For many this combination of practice helps to relieve stress and tension in body and mind in a easy and effortless way. As we learn more about the elemental aspect of Yoga we dive deeper into ourselves, and our lives; exploring what I call ‘living’ yoga. We bring ourselves, and our lives onto the mat and our yoga and its benefits into our lives thus having a positive effect on how we choose to live, becoming more present and then making the right decisions towards a happy, calm and healthy life. After 17 years of teaching I have developed a unique way of teaching and exploring yoga. I have learned from many amazing teachers, all being an inspiration to me, and they are all credit to my teaching style which I truly love and believe in and I am sure you will fall in LOVE with it to! As we unwind our bodies and go with the flow of our inner tide we will build our practice layer by layer creating a strong but soft You. 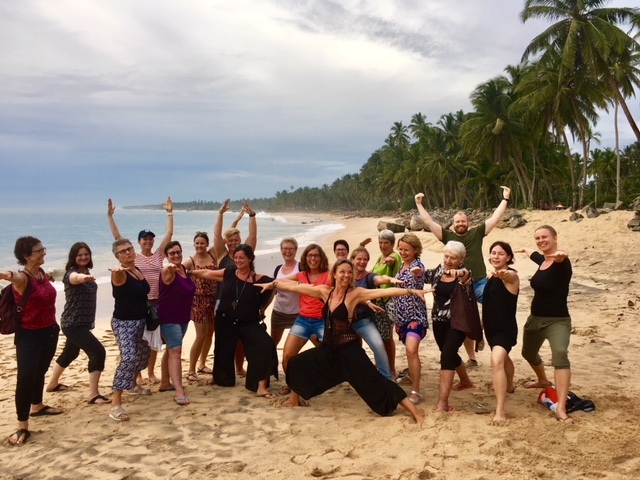 There will be a mixture of asanas, pranayama, meditations and relaxations for body and mind to create the perfect elixir for your well being…and with a dash of poetry, the elements and joy your yoga and the beach will take you back to the shore of a new you! Don’t forget to bring your Yoga mat and any other props you might need to have the best yoga experience. 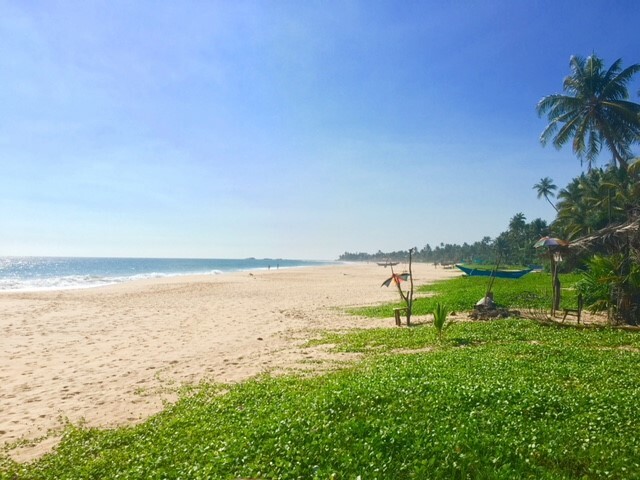 Our beautiful Yoga space is an open shaded area facing the Indian Ocean; and with the beach only a few footsteps away it would be a crime not to get onto the sand and get involved with some real Beach Yoga when it suits! 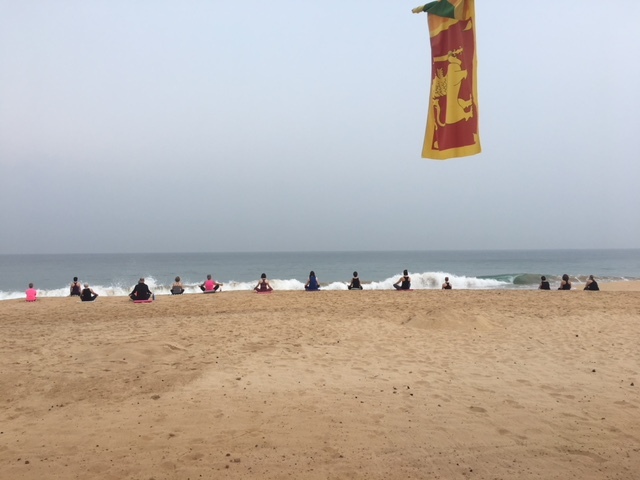 You will be indulging in your Yoga with the gentle sea breeze washing over you, enjoying the benefits of your practice and the elements, leaving you feeling renewed in every way! 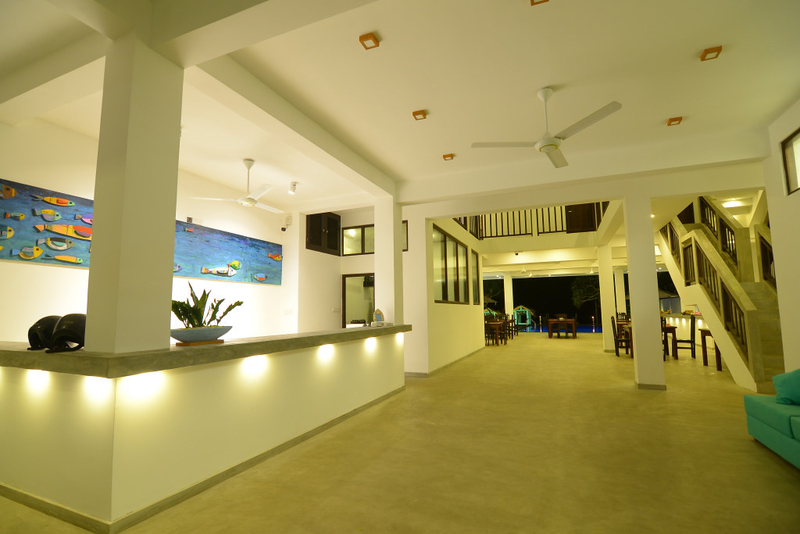 Your home for 10 tropical days will be at the beautiful At Ease Yoga Hotel situated right on the beach; and you will be ‘at ease’! We will make sure you are looked after in every way making your time with us an easy, relaxing experience where there is no stress in sight. 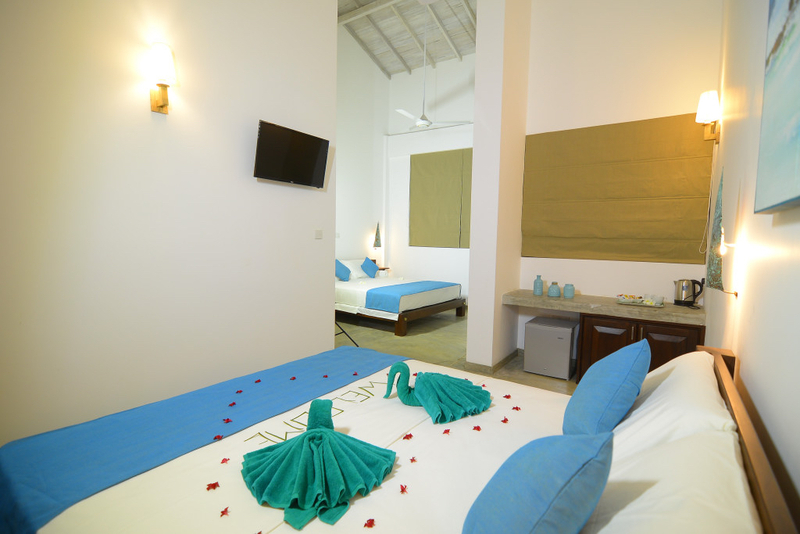 At Ease Yoga Hotel is a newly built has a modern boutique style and spacious décor. All the rooms have A/C, fan, water, tv, fridge and a kettle. 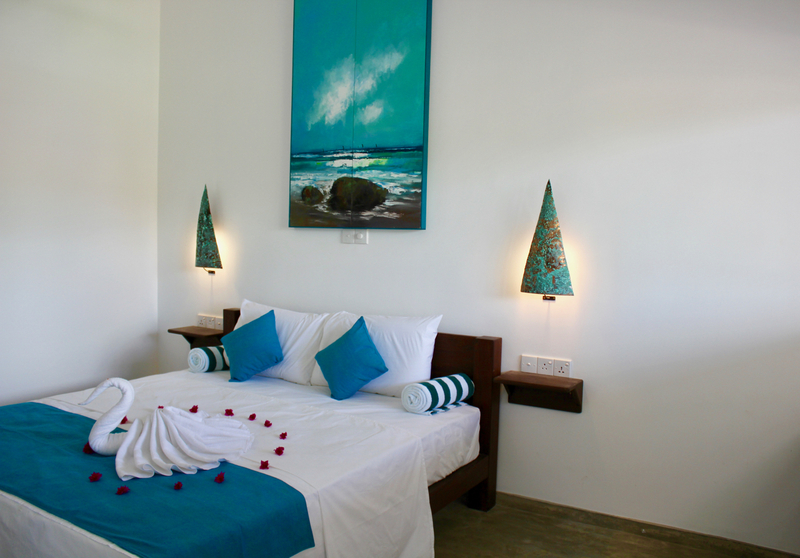 All rooms also have large on suite bathrooms, balcony and most rooms, a stunning sea view. 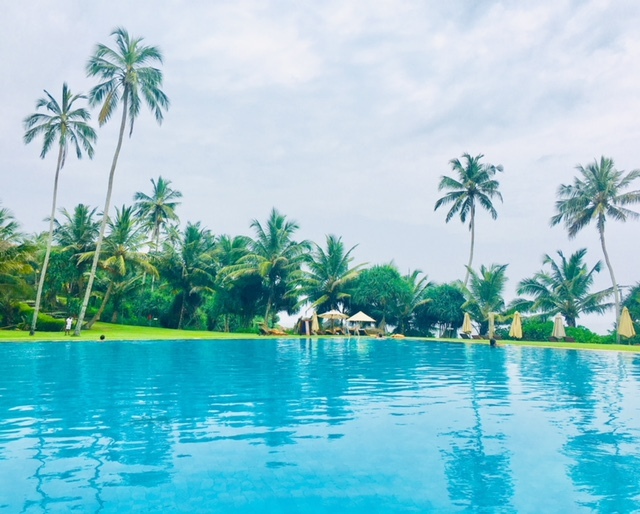 Our wonderful restaurant is situated by the beautiful pool area, and with the stunning views of the beach it is the perfect setting to be enjoying mouth-watering local cuisine whilst listening to the Indian Ocean lapping against the beach. 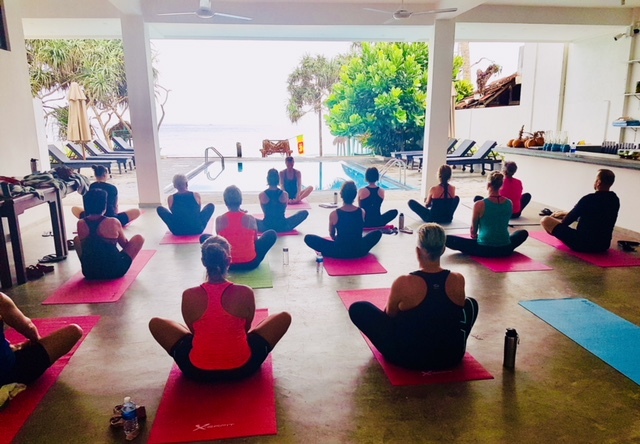 With the incredible setting for your yoga practice and the kind and caring staff looking after all your needs your stay at Ease will be the perfect place to relax and soak up the sun. 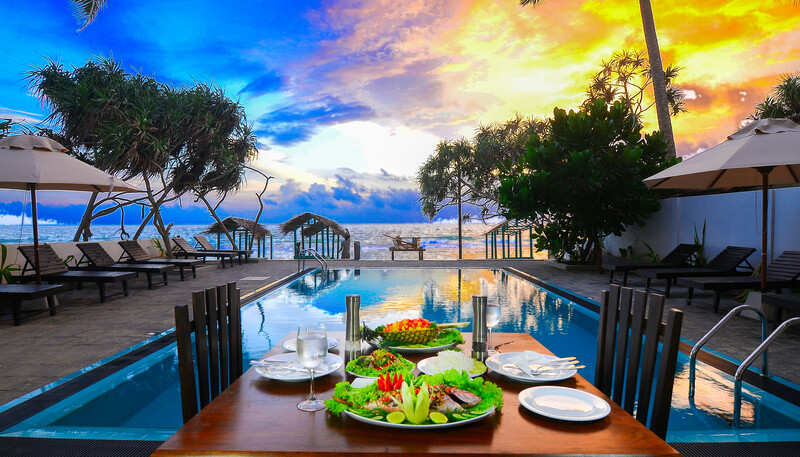 There are many nicknames for Sri Lanka and one of them is the Island of Rice and Curry. 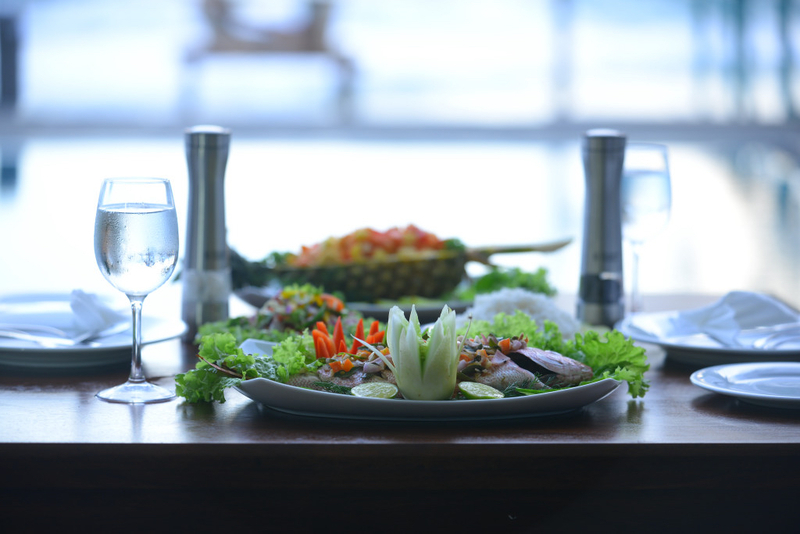 Making use of local fruit, such as coconut and jackfruit, seafood and an the abundance of spices available, Sri Lankan cooking delivers an abundance of incredible dishes to enliven your taste buds. The food served will be mostly vegetarian. 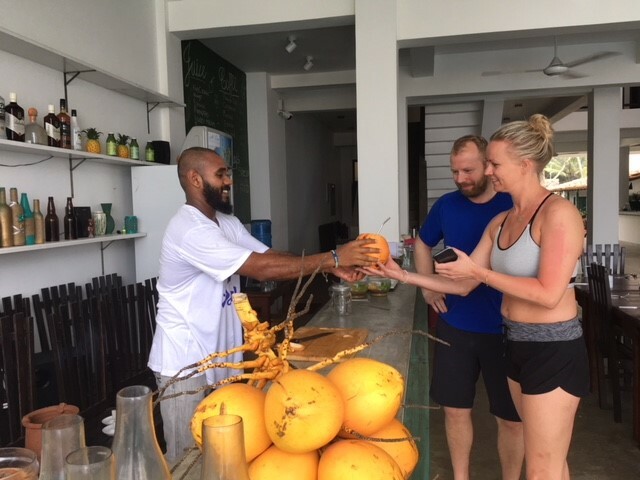 Starting your day with a Thambili coconut and fresh fruit after your morning Yoga practice, followed by breakfast/brunch. 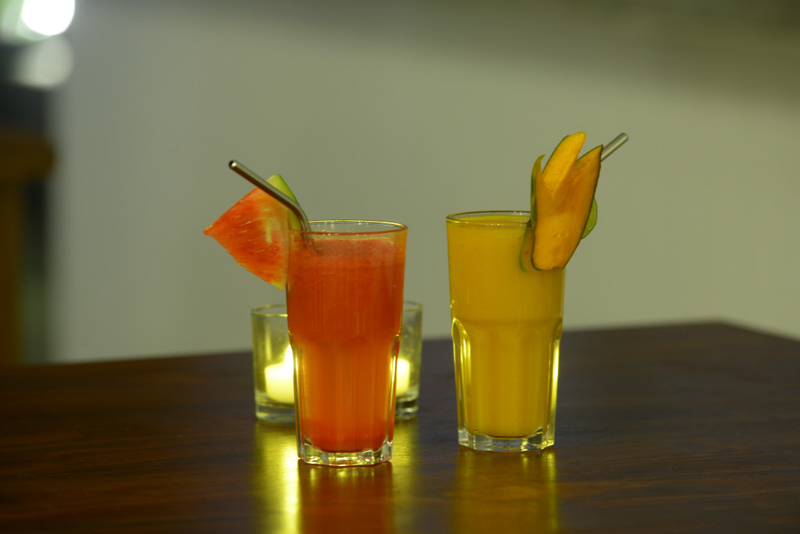 Here there will be a combination of local and international breakfast favorites and fresh juice. For our evening meal you will explore food sautéed in a blend of spices including black pepper, cinnamon, turmeric, garlic, pandan leaves and curry leaves simmered in coconut milk is what makes the Sri Lanken cuisine so unique. 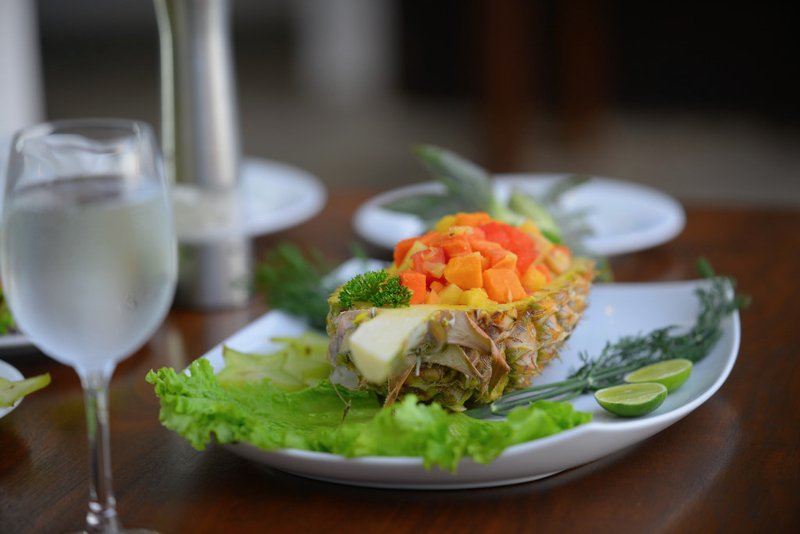 The flavors are unique and for food lovers an unforgettable experience. Local fish will be offered on some days. £500 (non-refundable) deposit required on booking with full payment to be paid by 15th of January 2019. 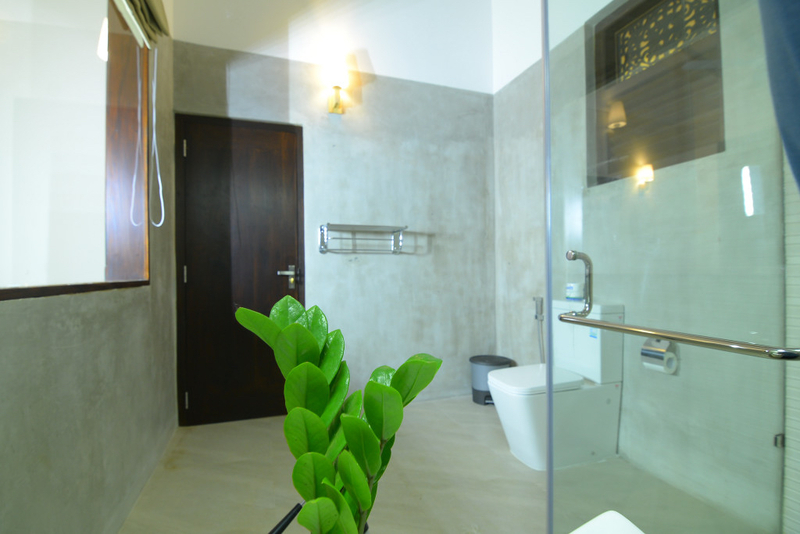 All rooms have on suite bathrooms and private balcony! The currency in Sri Lanka is Sri Lankan rupee which usually needs to be ordered from your local money exchange. One Sri Lankan rupee equals around 0.0049 British pounds. There are several local cash points in Sri Lanka where you also can withdraw your currency. There are several airlines flying to Colombo such as Srilankan, Emirates, Qatar airways, Oman air. Transfers to and from airport will be arranged for you on recommended flight. 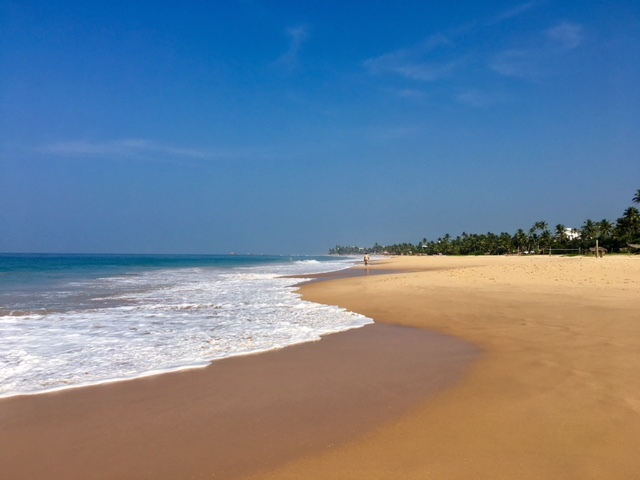 Arranged transfer included are for those arriving to Sri Lanka on Emirates flight EK 650 on the 8th of March at 08.25am or other airlines arriving around the same time. Please remember you will be travelling on the 7th of March 2018 to arrive on the 8th! 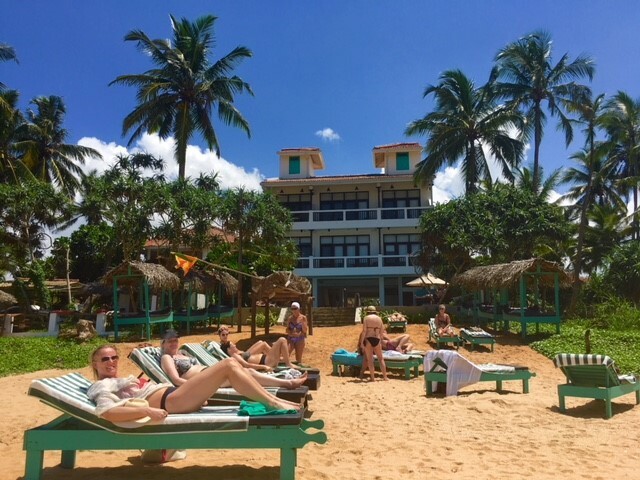 Many like to make their own arrangements for transfer as they may choose to arrive early or stay on in Sri Lanka after the holiday. If you choose to do so we are happy to help with your own transfer arrangements. * Yoga mat and any props you may need such as a block and or a belt. And anything else you may need for personal comfort! DON’T FORGET YOUR YOGA MAT!!!! We recommend contacting your GP and speak to the nurse to get the vaccines organized in time before traveling. 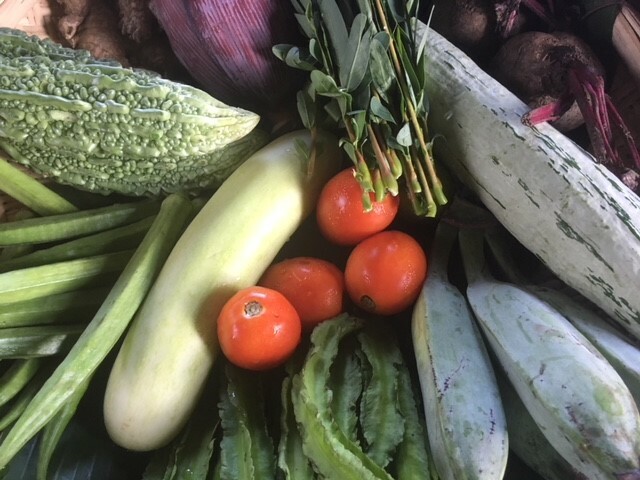 * A visit to the local fruit & vegetable market to purchase ingredients before learning to cook traditional rice & curry with a professional chef. 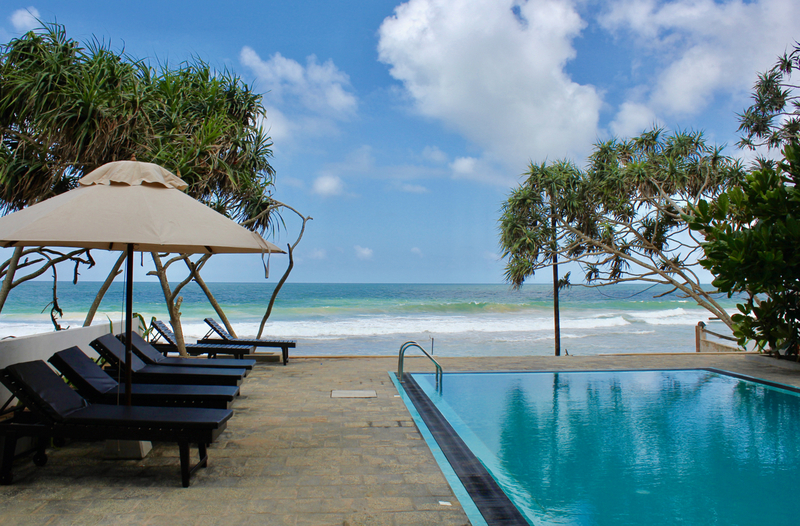 * Trip to the historical & beautiful colonial port of Galle. 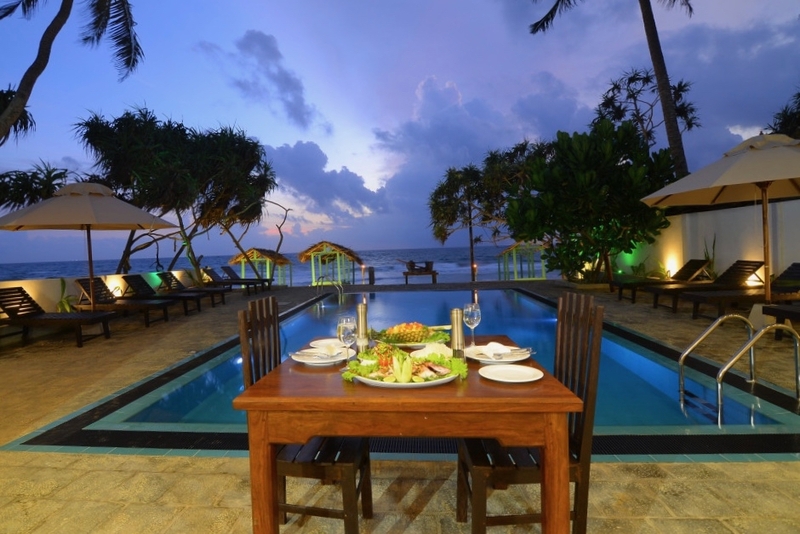 * 10 mornings Sri Lankan & Continental breakfast by the pool. * Spacious and shaded yoga space. * Leaving Party! 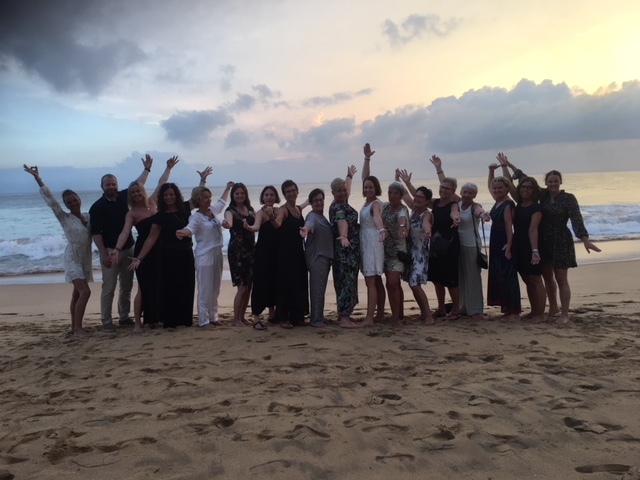 An amazing beach party to celebrate our fabulous 10 days together. * Memorable experiences & lots of fun & laughter! * Transfers outside recommended flight times. Sorry We Have No Places Remaining. 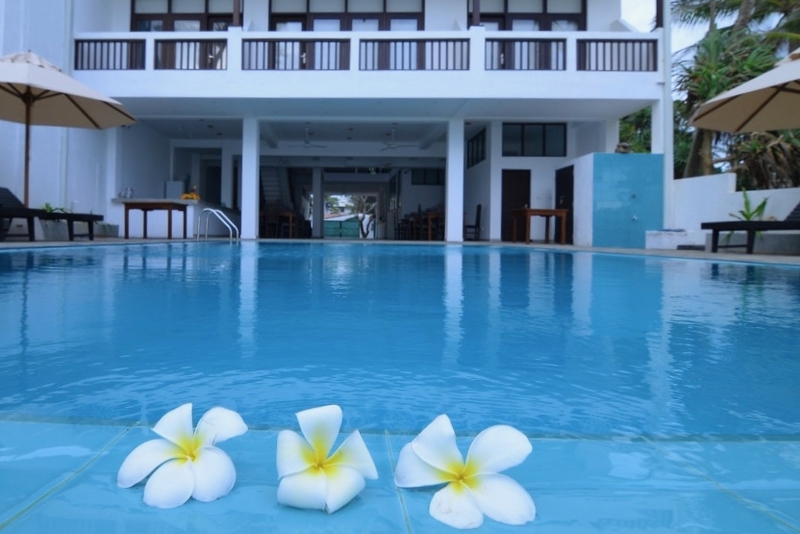 Lotus Spa is a friendly and relaxed spa located in Hikkaduwa. 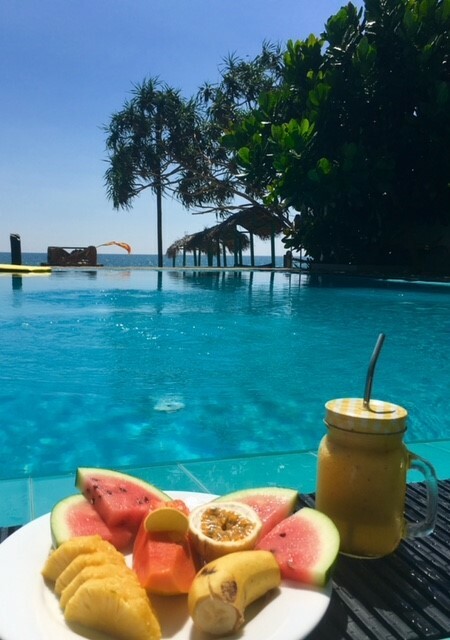 A day trip to the spa where you can enjoy traditional Ayurvedic treatments, relaxing by the pool whilst enjoying a healthy lunch could be just the right remedy for a busy life. Ayurveda is a system of medicine, which is considered to be the worlds oldest health care system. Its roots are from the Indian continent and based on natural remedies. This medicine form is today referred to as complementary or alternative medicine. One of our doctors will be speaking to us offering more insight to the Ayurvedic medicine still mostly used in Sri Lanka. If you have certain ailments a private consultation with the doctor can be arranged. In Sanskrit the word Ayurveda means “science of life”. Ayurveda is based on the belief that health and wellness depends on balance between mind, body and spirit. Ayurveda is also the medicine of Yoga. 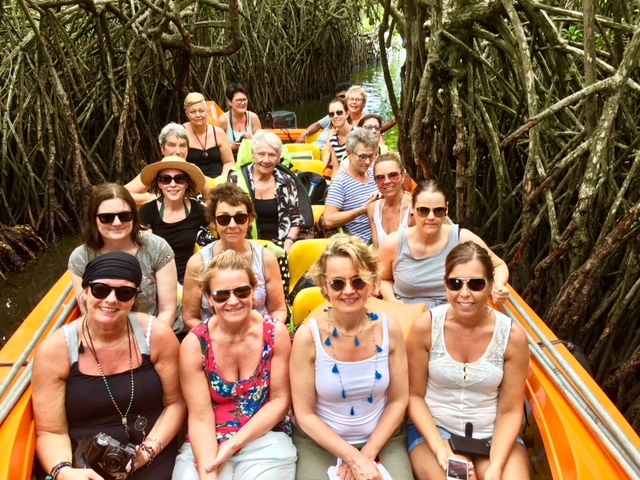 The river cruise will take you to the beautiful mangrove river where we will travel up-river absorbing the lush tropical nature, exotic bird and river life. Here you can just sit back, relax and enjoy the stunning ride. 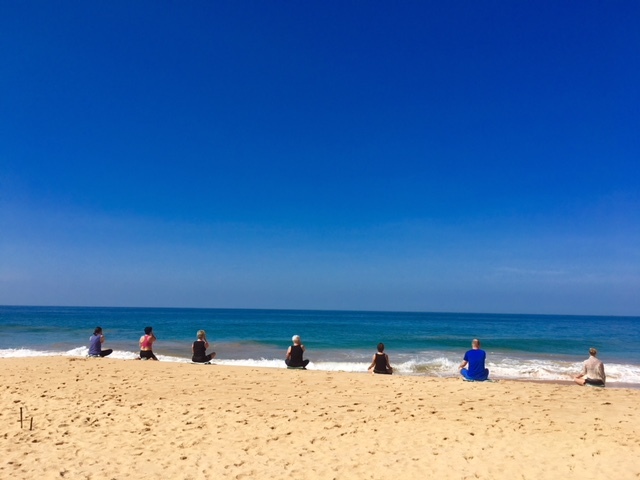 The turtles are now an endangered species and with Sri Lanka being the home of five of the seven worlds species of sea turtles, it is the perfect spot for encounters with these wonderful creatures. 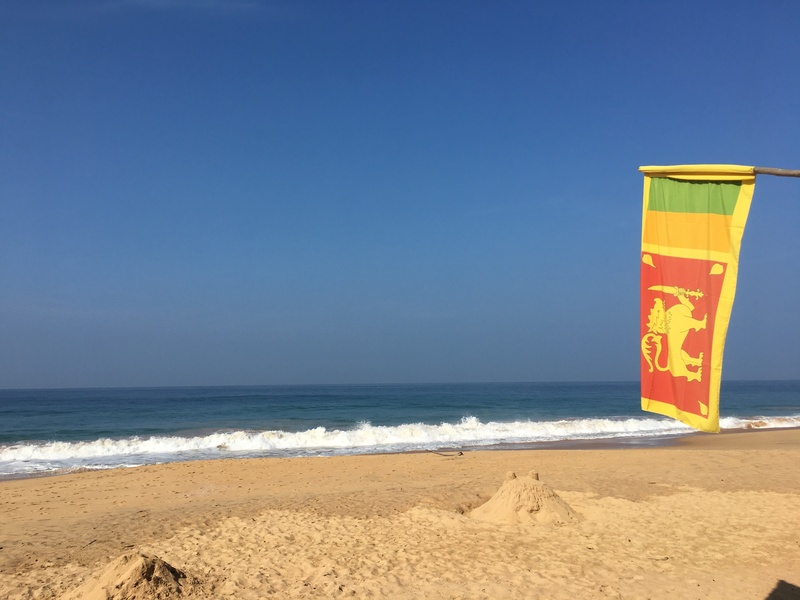 With nearly all sea turtles being endangered for many different reasons, Sri Lanka tries its best to save the endangered sea turtles with its many turtle sanctuaries. We will be visiting one of these sanctuaries, getting insight into how the turtle rescue program works and its benefits on local turtle populations. 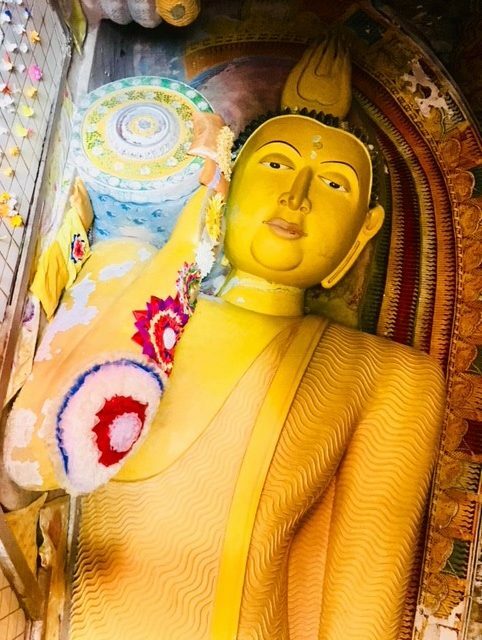 Kumarakanda Temple is a stunning temple located in Hikkaduwa. 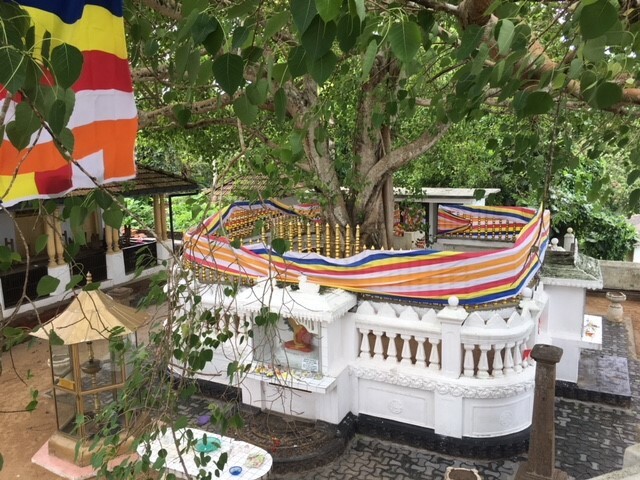 Here you will get an intimate encounter with the kindhearted Buddhist tradition and teachings. The architectural structure is a grand large building with the many statues of Buddha and other deities. For many a temple visit leaves a beautiful ‘imprint’ in their hearts, becoming more humble and peaceful seeing life with ‘new eyes’. A trip to the local fruit and vegetable market will dazzle you with an ocean of colors and scents, which will awaken your senses. 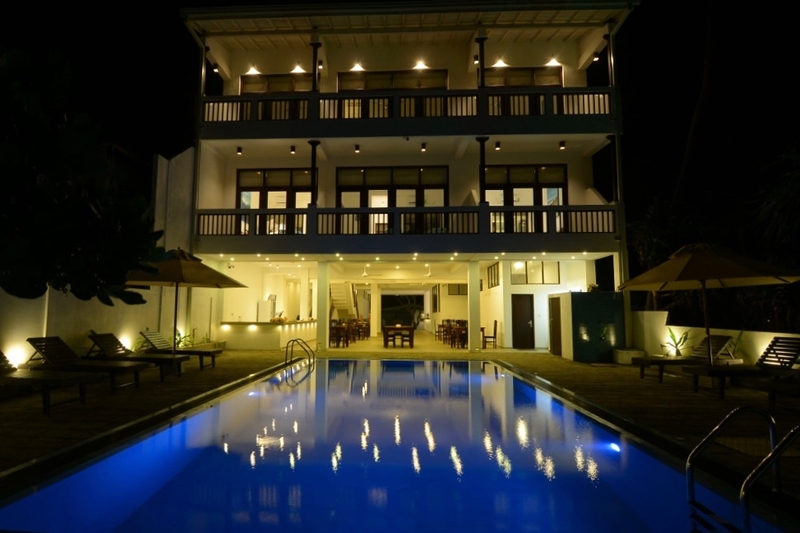 You will feel the Sri Lankan culture first hand enjoying the experience of emerging yourself with the local community. Together we will be purchasing ingredients for our traditional dish of rice and curry that we will prepare in the cooking class following our market trip. 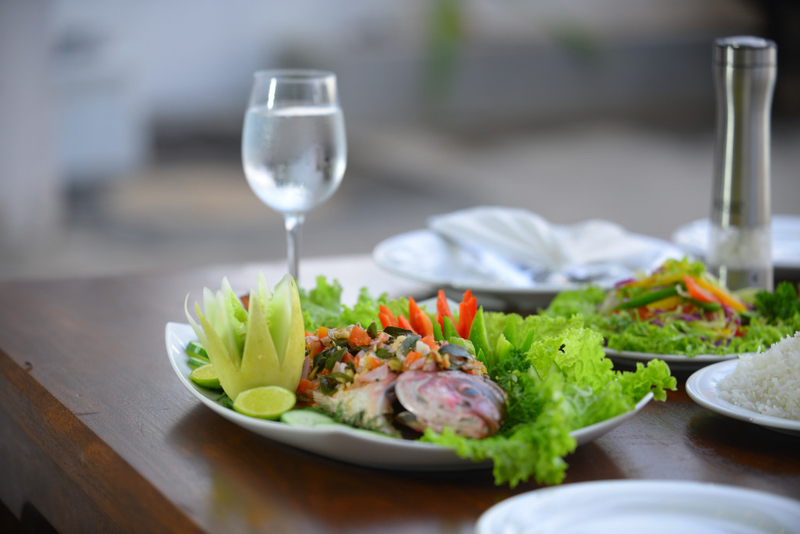 With our professional local chef you will be learning how to create the traditional curry and rice dish. 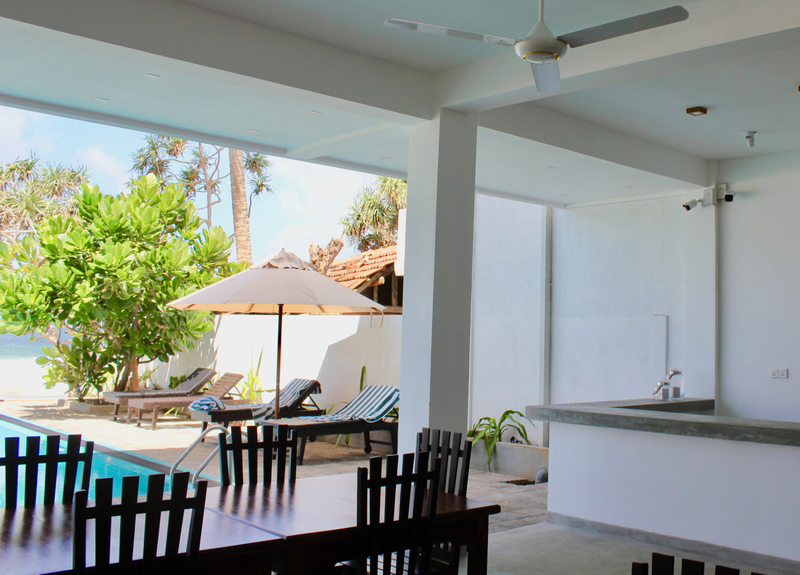 Learning to cook Sri Lankan style is a great gift to take with you home to impress family and friends. 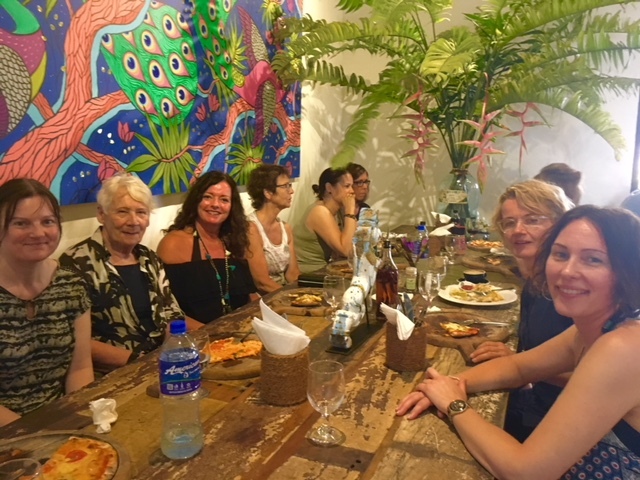 Here you will be taken through the ingredients, spices and techniques used in Sri Lankan cooking giving you not just a wonderful meal to enjoy with your fellow yogis, but also the foundation to prepare other tempting Sri Lankan dishes in your own home comfort. This will be a fun experience where we will all cook together sharing lots of laughter and a delicious meal as the end result. A special shopping trip to Hikkaduwa “NewUse-Shop”. Our local friend Merete will take you on a trip to this unique shop where you will find used and new products where the profit will go to the poor population in the area. Here you can find the perfect gift/souvenir to bring home. 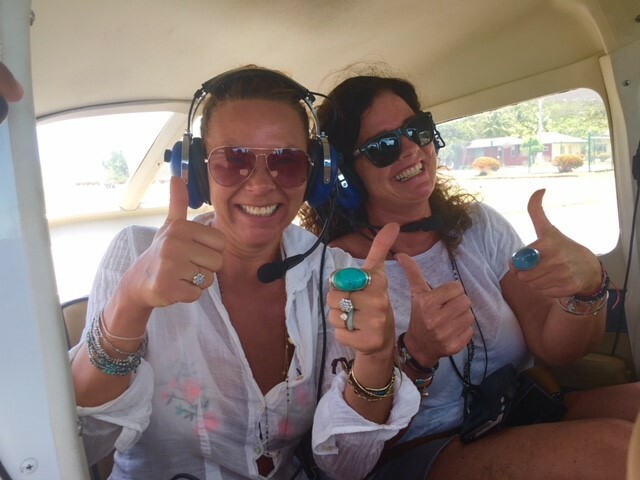 Blue Whale Watching in Marissa is an experience you will never forget! The waters around Merissa are rich in plankton; the whales feed on the plankton making this area very popular a favorite for the blue whales, particularly between November to April. 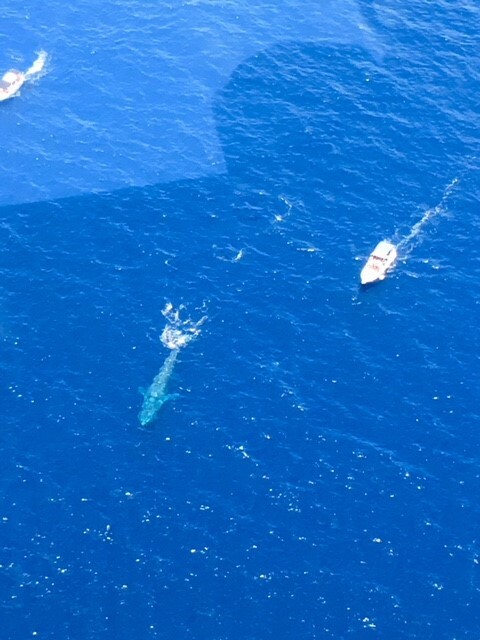 Watching the blue whales and dolphins is truly a unique experience and the early start will be worth it. Picture yourself with a 10 story animal in front of you; this is how big the blue whale is! The blue whale is the largest animal known to have EVER lived on Earth! The blue whale can grow to 30 meters long and weigh close to 200 tons and their lifespan is between 80-110 years. A blue whales heart is about 5 feet long, 4 feet wide and 5 feet tall and weighs around 400 pounds. So the blue whales heart is the size and weight of a car, and its tongue can weigh as much as an elephant; so when this animal leaps in the air it is truly awesome to watch, it is actually mind-blowing! There are many national parks on the island. With a variety of wildlife and choices of parks to choose from Yale National Park is the second largest park and the most visited. 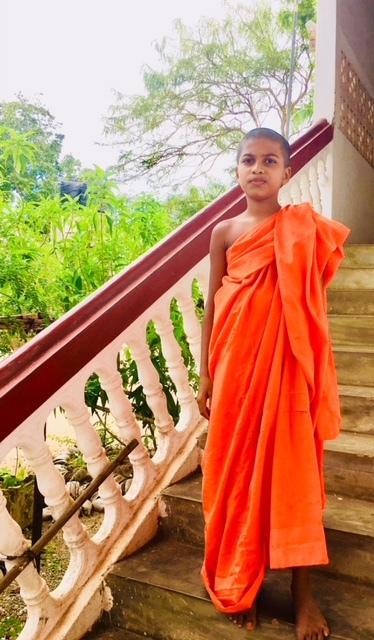 The Sri Lankans have a deep respect for the natural environment stemming from the long cultural background and the Buddhist way of living. A rich and varied collection of wildlife including elephants, slot bears, beautiful bird life, leopards and so much more will for sure add another memorable experience to treasure forever.